Today, digital marketing is growing rapidly. As, over the years Digital Marketing has proved to be the most effective and affordable way of generating leads. Any company investing in digital marketing does so with the expectation of either reaching out to huge number of people in one go or for the mass lead generation. At Crux Creative Solutions, one of the best digital marketing agencies in Delhi NCR, this is what we do without disappointing our clients. We maneuver strategies through which we can help our clients generate leads and enhance their business using the digital platform. 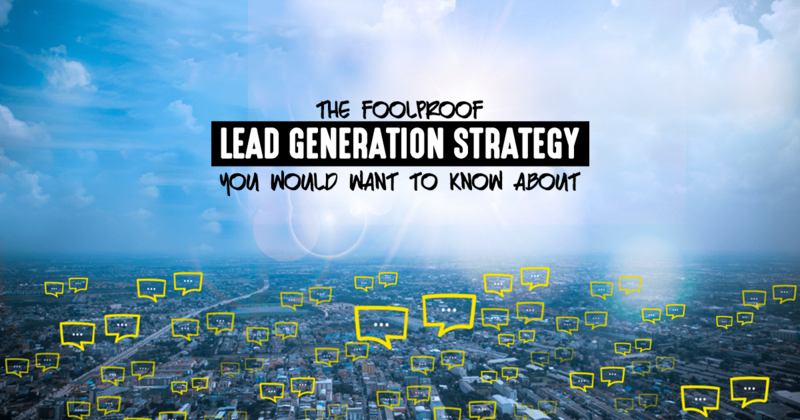 However, to move forward, we first must understand what lead generation is. It is a marketing process of attracting people towards your product or service and subsequently converting them into potential customers. In simpler terms, it is the way companies engage strangers, make them like their product or service, and then lure them to buy it. Hear it from us, the best digital agency, there are three prominent ways of using digital space for lead generation: email marketing, blogs, and social media. In addition, we will now reveal how can one scheme an unfailing lead generation strategy that will help your business prospects by leaps and bounds. Having a steady experience of providing digital marketing services, CRUX knows that inbound marketing consists of multiple players such as content, customers, assisting tools and competition. Therefore, you have to prioritize what takes the top position and what last. Being one of the top digital marketing agencies in Gurgaon, we have always been straight with our priorities. To us, content is the king. Even the closest customers can drift away if you are selling them under-quality. On the contrary, even the most unlikely customer might get attracted to your service or product if you have caught their special interest through your creative content. Not everybody from the traffic you generated will comply with your call to action. In fact, it is more probable that half the traffic will ignore your CTA and you never get to see them again. Therefore, to avoid a situation like this, CRUX, the most consistent digital marketing agency in Gurgaon, takes another route. One must always be ready with some alternative lead attraction techniques. When the traffic does not revert to your call to action, give them something attractive to return; a magnet that attracts the drifted traffic back to you. These can be engaging tutorial videos, free vouchers, trial sessions, etc. The analysis is a crucial aspect of the lead generation strategy. You might have done everything that you could, but unless you don’t analyze your efforts, you will never understand what worked and what not. Hence, following up your leads and maintaining an adept statistics of it is equally important.